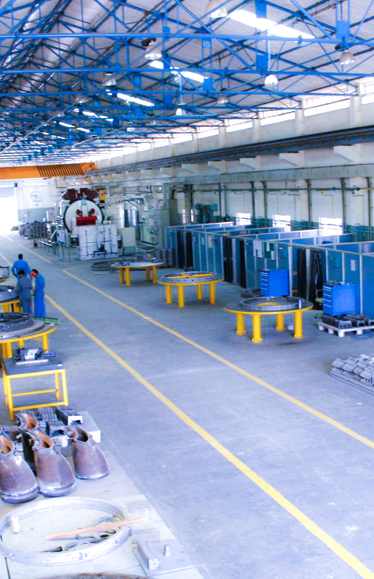 "Excellent facilities for refurbishment of GT components of International class Plant well laid with care & safety, healty and environment"
"Excellent facilities. Upkeep is praise worthy. Good team. Safety given priority and importance. Please keep it up. Real educative experience for me "
"Very good facility. Good, systematic documentation. Excellent team work work. Neat and clean shop floor. Excellent"
"Happy to see a world class facility with a team of dedicated professionals within Indian borders. wonderful"
"Very promising. Keep it up"
"We are leaving India with an excellent impression of the jobs done in your facilities. Thanks a lot for the great attention and hospitality received here"
"Well managed workshop & I appreciate the safety concern followed here.Please keep it up. Thanks"
"Very good system of keeping all activity up to date & visible by display. Team look energized & devoted to their work. Great . Keep it up." "This facility emanates excellence associated with GE, Outstanding leadership and a committed high performance team. Love the focus on personal and process safety"
by GE to support the fleet ofGE-designed heavy duty Gas Turbines. availability and minimize the maintenance costs. With new technologies being implemented in the gas turbine world, component repair is an ever- changing challenge. The effort towards increased operating efficiency and decreased heat rate require that repaired components conform closely to original equipment manufacturing drawing requirements and specifications. With that in mind, the need for consistent repair practices throughout the service organization has become a top priority. The sharing of piece–part qualifications, best practices, processes and procedures, fixtures and tooling has become more critical than ever. Nozzle repairs are critical for heavy duty gas turbine performance. 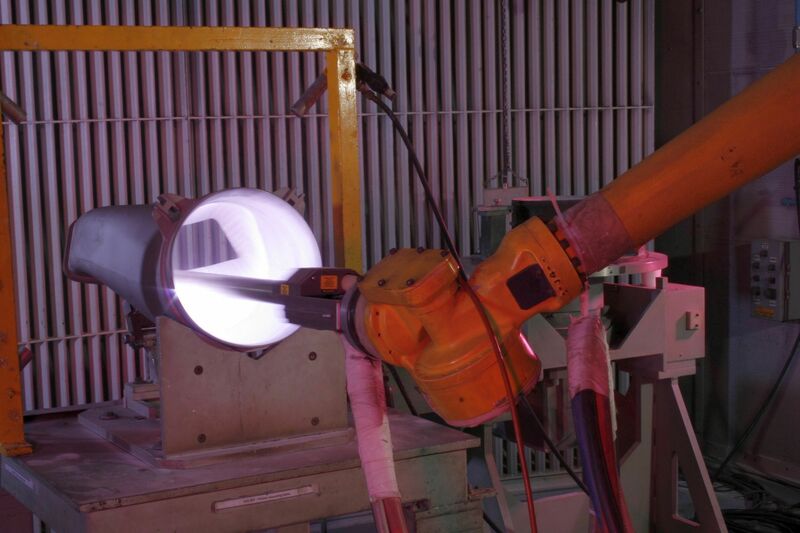 Repair not only addresses general phenomena such as cracking, oxidation, distortion and other surface distresses but also restores close to new part specification such as Nozzle Area and Harmonics, Nozzle deflection, seal breach inspection, seal replacement and application of advance coatings. 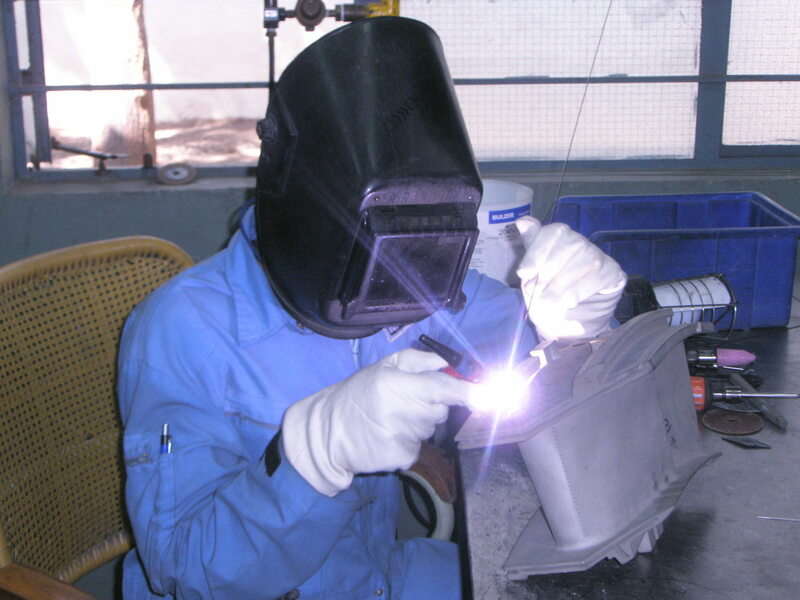 Nozzle repair employs GE Renewalloy™ repair technology over traditional welding techniques offering superior mechanical integrity, shorter repair cycle times, subsequent repairability and eliminates heat affected zone besides distortion free parts. Renewalloy™ repaired nozzles provide mechanical and metallurgical properties as that of the base materials. With this technique nozzle surface erosions restoration, craze crack repair and replacement of trailing edge metal loss can be well repaired. Shrouds minimize the bucket tip clearance leakage, insulates the casing shell from the hot gas path and structurally hold the nozzle segments (Stg 2 and above). Honeycomb shrouds are introduced as up-rate to the GE machine to enhance the output and heat rate of gas turbines. BGGTS offers effective Combustion system repairs for our B, E and F-class Gas Turbines. Components included are Transition Pieces, Combustion Liners, Caps. 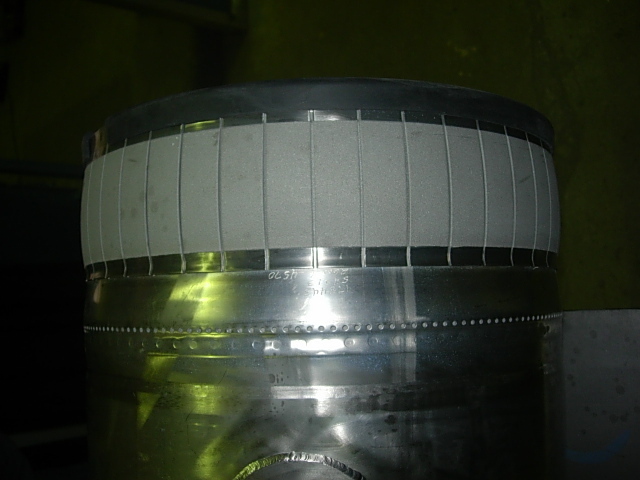 Flow Sleeves and Seals which over a time of use, experience degradation such as wear, cracking and distortion. BGGTS offers sophisticated Fuel Nozzle repairs for B, E and F class Heavy Duty Gas Turbines and Fuel Nozzle assemblies which are in particular critical for gas turbine performance.